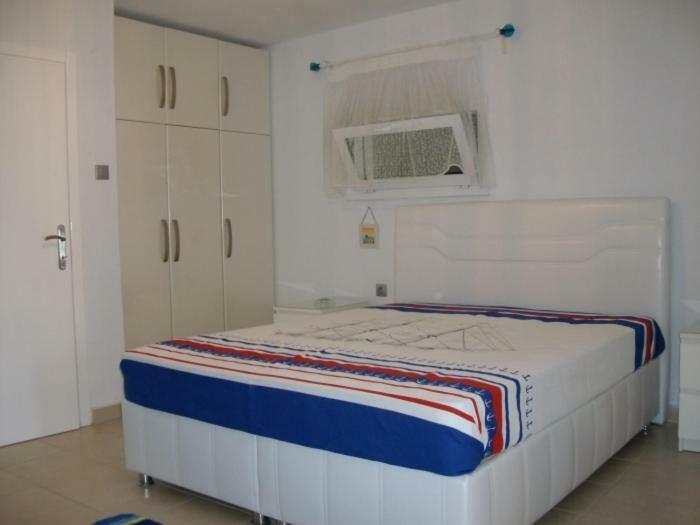 Property is easy accessible and safe for kids above 2 years, parking in front of the property, comfortable space in the apartment, spacious kitchen. The host is very friendly and pleasant. Host was extremely nice, Fully equipped kitchen. Room was very clean. 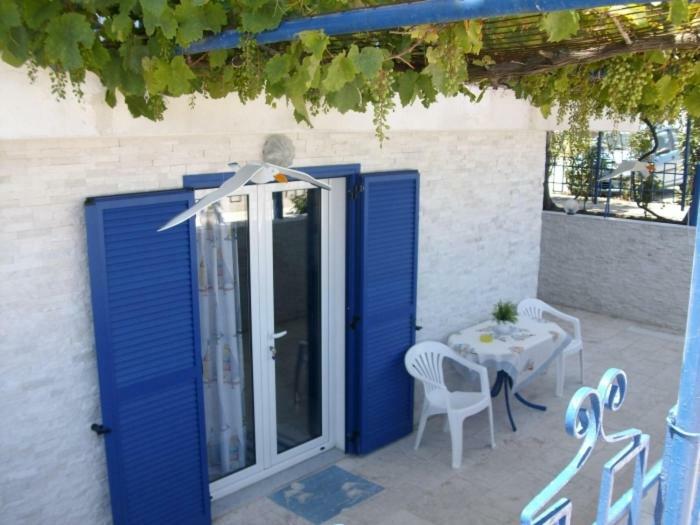 Perfect location, next to the beach (first line of houses on promenade. Sufficient for four adult (queen size bed and two sofa beds. Host and staff more than friendly. Beach bar (of same host)and sunbeds on 3 meters from accommodation. Fully equiped kitchen. Location close to the beach. Refurbished house, view to parking lot, seafront was only on right. 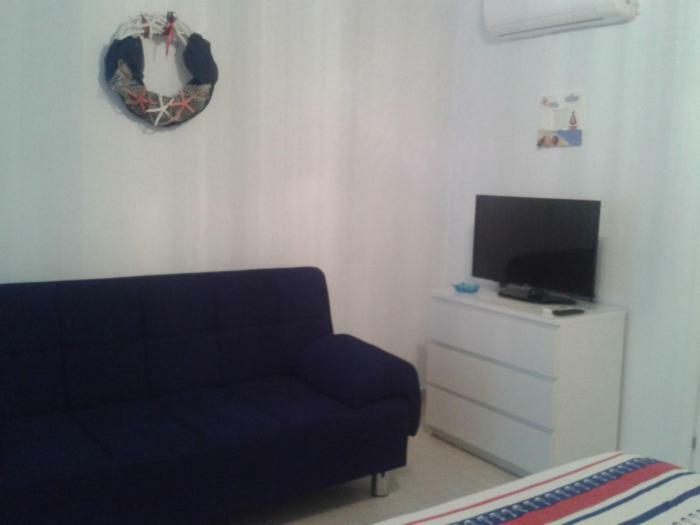 Good bed in bedroom, average sofa in living room. Kitchen fully equipped with new fridge. Might be good for family stay, but take every antimosquito repellent you can. Generally clean flat. 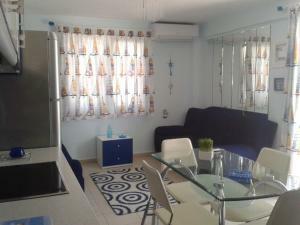 Super location, verry clean and confortable apartament. Melka and Tataie is a exceptional persons. I recomend Rudi Studios for a holiday like in a dream! Super Lage, direkt am Meer. Parkplätze vor dem Haus. Mit viel Liebe eingerichtetes Studio. Es war rundum ein gelungener Urlaub. Ich kann nichts negatives berichten. Die Zimmer waren top ausgestattet es war alles da was gebracht wurde, es wurden alle Belange und bitten promt zur vollen Zufriedenheit erfüllt. Es war sehr sauber und ordentlich. Die Gastgeberin war sehr freundlich und zuvorkommend. Direkt am Stand gelegen, freundliche und zuvorkommende Gastgeberin. Sauberes Apartment. Alles da was man braucht. Alles super. Bardzo miła właścicielka. Standard pokoi OK, aczkolwiek czuć było nieco stęchlizną. Die Gastgeberin ist supernett. Die Unterkunft ist sehr sauber. Alles was man braucht ist vorhanden. Die Lage ist perfekt. Wir haben uns sehr wohl gefühlt. Lock in a great price for Rudi Studios – rated 9.1 by recent guests! Located in Sarti of Chalkidiki, the family-run Rudi Studios offers self-catering accommodations with balcony or terrace just few feet from the beach. Free WiFi access is available in public areas. 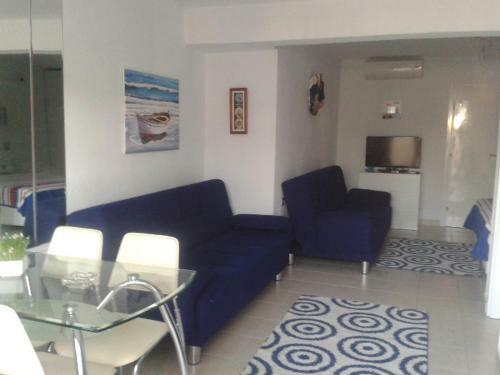 Fitted with tiled floors and modern furnishings, the studios and apartments of Rudi are air conditioned and include an open-plan kitchen with seating and dining area. Facilities include a flat-screen TV, a fridge and an oven. The private bathrooms come with shower cabin. Some units enjoy views over the Aegean Sea. Guests will find restaurants and mini markets within walking distance from the property. The seaside Vourvourou Village is 19 mi away, while the lively Neos Marmaras is at a distance of 25 mi. Thessaloniki International Airport is 81 mi away. Free public parking is possible on site. 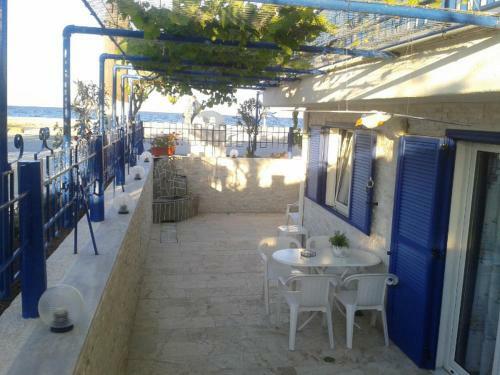 This is our guests' favorite part of Sarti, according to independent reviews. 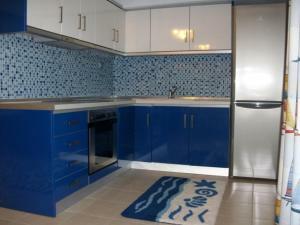 뀐 Located in the top-rated area in Sarti, this property has an excellent location score of 9.2! When would you like to stay at Rudi Studios? Overlooking the Aegean Sea from its balcony, this air-conditioned studio includes an open-plan kitchen with seating and dining area. 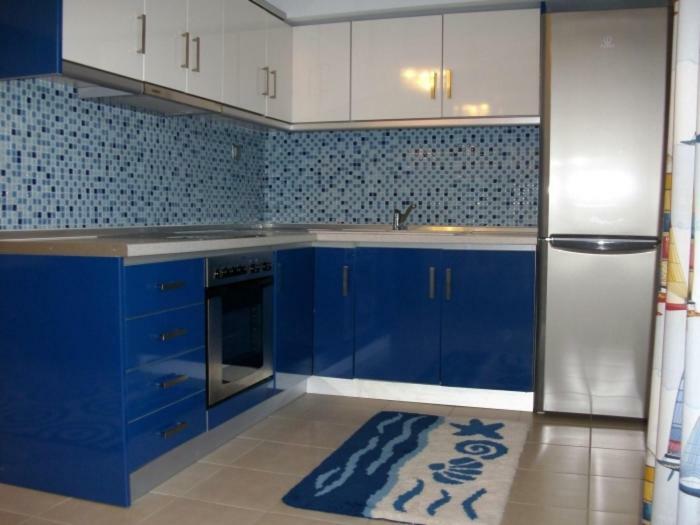 Facilities include a flat-screen TV, a fridge and an oven. The private bathrooms come with shower cabin. Overlooking the Aegean Sea from its balcony, this air-conditioned apartment includes a separate bedroom and an open-plan kitchen with seating and dining area. Facilities include a flat-screen TV, a fridge and an oven. The private bathrooms come with shower cabin. 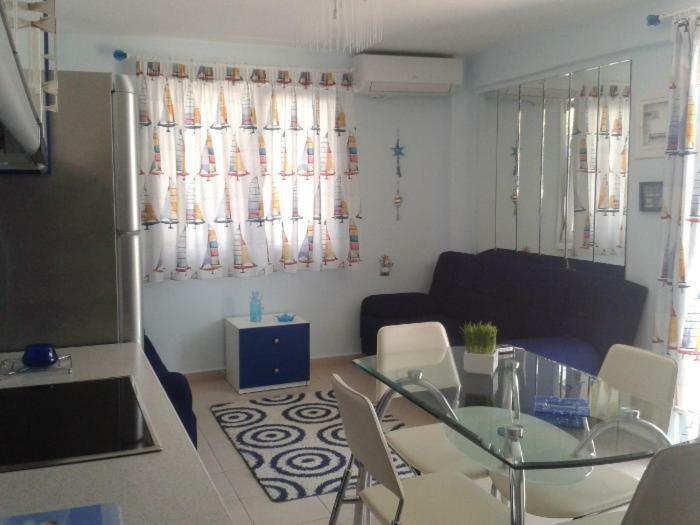 This air-conditioned apartment includes a separate bedroom and an open-plan kitchen with seating and dining area. Facilities include a flat-screen TV, a fridge and an oven. The private bathrooms come with shower cabin. Please note that this room type is located in the semi-basement, 5 steps below the ground floor. Opening to a terrace, this air-conditioned apartment includes a separate bedroom and an open-plan kitchen with seating and dining area. 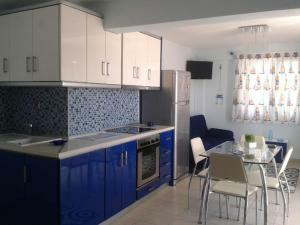 Facilities include a flat-screen TV, a fridge and an oven. The private bathrooms come with shower cabin. House Rules Rudi Studios takes special requests – add in the next step! Located right across the beach, very quiet.. Location between beach and still water stream with insects, so mosquitos were everywhere in the room, as there was no anti-mosquito net on the balcony doors, no anti-mosquito electric repelent. Shower door broken, slight mold in shower. Bigger expectations for 75 Eur.